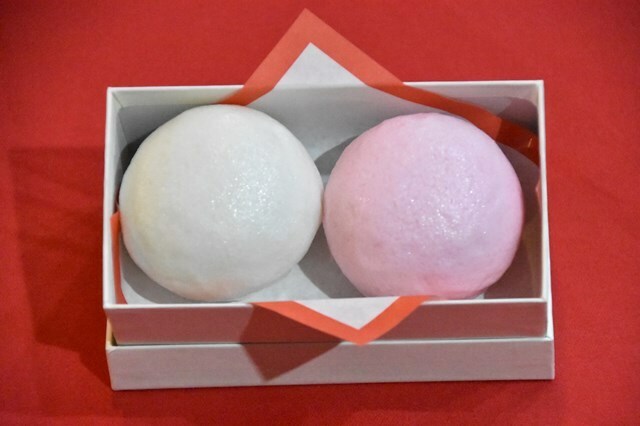 Tamba tsukune imo (Tamba sweet potato) is used, and Hokkaido tebokoshian (Hokkaido sweet bean paste) is wrapped in the red cloth. 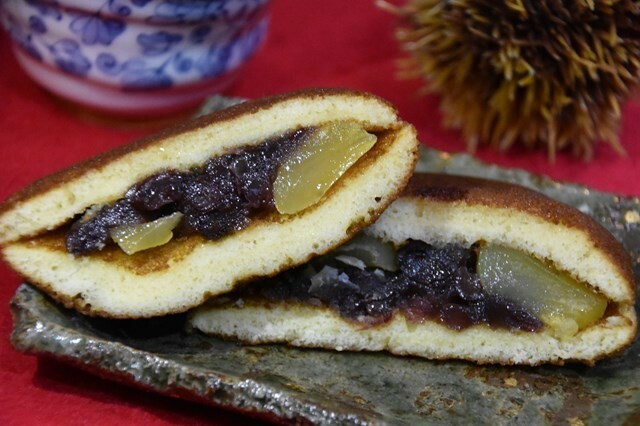 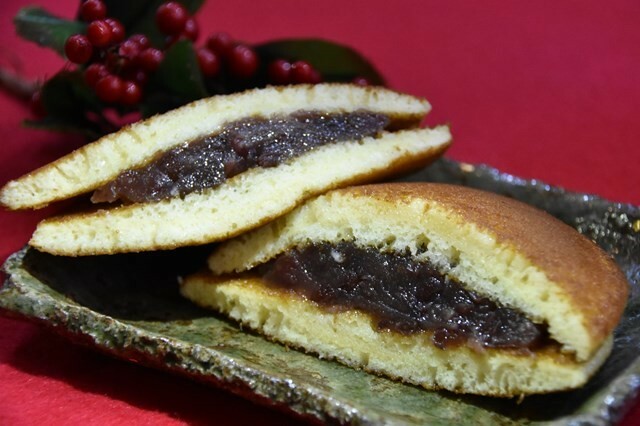 Hokkaido red bean paste is wrapped in the white dough. 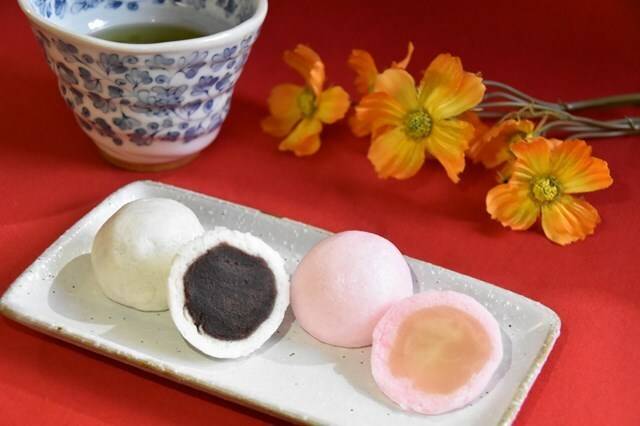 What is the name of Joyo? This elegant confectionery uses yam in abundance and does not depend on additives. It is used for celebratory events.